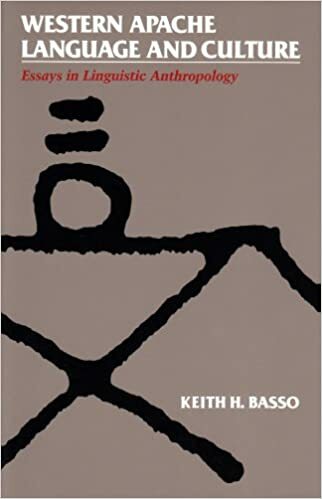 Western Apache Language and Culture: Essays in Linguistic Anthropology | Keith H. Basso | ISBN: 9780816513239 | Kostenloser Versand für alle Bücher mit Versand und Verkauf duch Amazon. Western Apache Language and Culture: Essays in Linguistic An- thropology. Keith Basso. Tucson: University of Arizona Press, 1990, xi +. 195 pp. $32.50, cloth. Most of those who read linguistic anthropology are seeking, I suspect, to discover unique realms of human knowledge and find novel forms of figurativ expression. Gary B. Palmer, "Western Apache Language and Culture: Essays in Linguistic Anthropology. Keith Basso ," Journal of Anthropological Research 46, no. 3 (Autumn, 1990): 366-369. doi.org/10.1086/jar.46.3.3630436. MOST READ. Of all published articles, the following were the most read within the past 12 months.